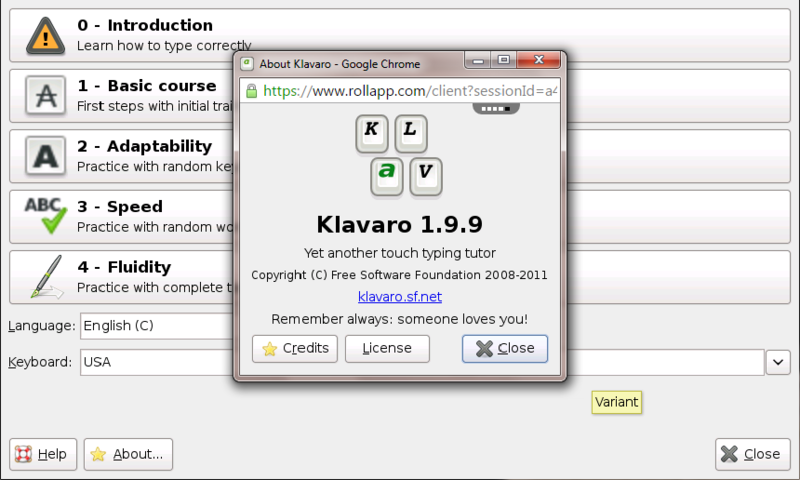 Klavaro is a simple yet effective typing tutor program. It supports dozens of languages and keybords. 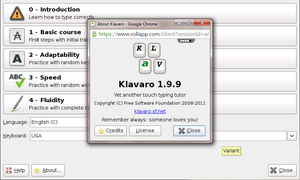 Klavaro has intoductionary materials to learn how to type correctly and 4 levelcs of courses/exercises for training. It makes Klavaro suitable for everyone from beginners to experinced computer users. Results of your trainings are shown as good-looking progress charts. After you complete all buit-in exercises, you can easily import any file you want to extend collection of exercises. 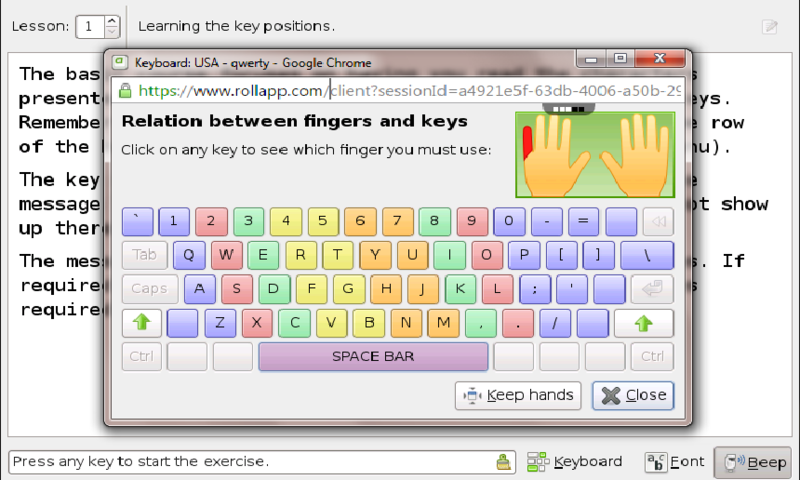 Adaptibility: these exercises use all the keys ramdonly, so that you can practice using all the keyboard. 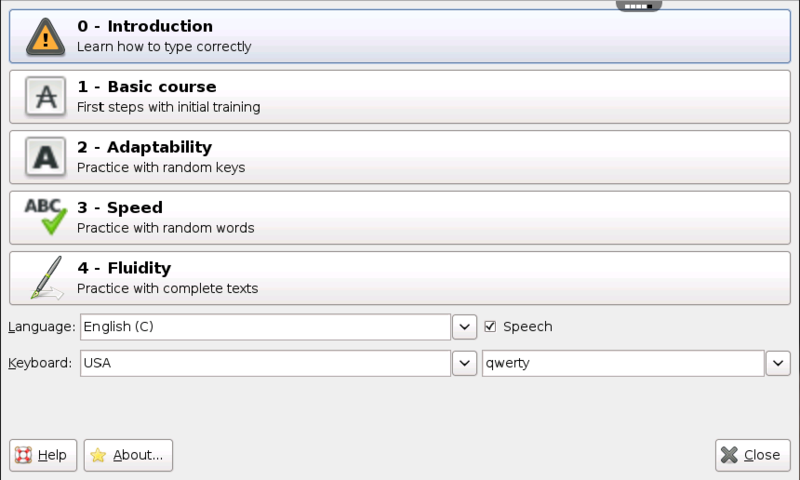 It's named adaptability exercise because it develops the capacity to adapt your typing skills to any kind of strange words that may appear in some texts. Speed: one achieves velocity on typing when the environment is well known, or, when the words come from one's own language. That's why these exercises focus on velocity. And even if your language isn't supported by the application, you still can indicate texts in any language to include the words contained there. Fluidity: with these exercises, one works typing complete paragraphs, with good sense sentences. Typing errors aren't accepted: the user must correct them with the backspace key before be allowed to go on. Especial attention is given to the typing rhythm, which must be as uniform as possible. Just like the velocity exercises, this one here makes possible to load any text files, independently of language.